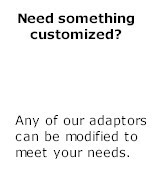 Embedded Micro Software (Emicros) provides numerous interface adapters. Build your own low cost CAN Interface. Great value! Only $9.95 Learn Embedded C Programming. We also provide Embedded Software Engineering Services. Email us at support@emicros.com.